This kuju material is the most common one used in RailWorks. 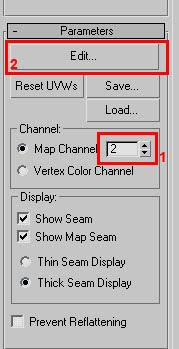 However, it is a little more complicated than most as it needs the user to create a second mapping channel and a light map texture. 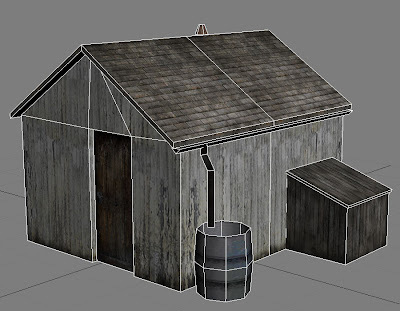 To help discuss this material I will be using a simple wooden shed object to help illustrate the methods used. Above is an image of a texdiff material, the object looks flat and unlit. Above is a Train Light Map With Diffuse, you can see the shadows make a huge difference. Before I start, I just want to point out that there is no right or wrong way to go about getting the best results, this is just the way I do it. Before I make a 3D model I tend to make most of the texture first. The reason I do this is that I constrain myself to what is important. Laying the ground rules before you start helps focus to what’s important. 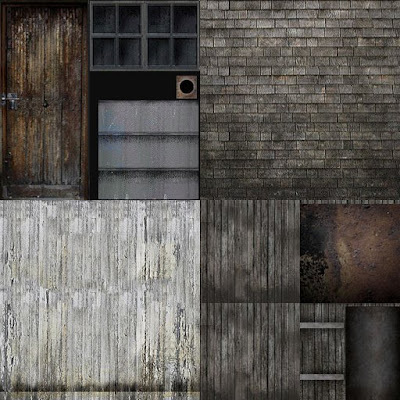 While making the texture you also want to give some consideration to winter textures, if a material is used on a roof and you want to do a winter version with snow on then you best not use that section of the texture for a wall surface. C:\Program Files (x86)\Steam\steamapps\common\railworks\Source\RSderek\WearValleyRailway\Scenery\Misc\Textures The Max/IGS and XML files will all be saved in the Misc folder, and all textures saved in the texture folder. 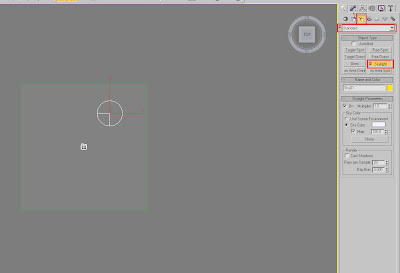 Open up the Material Editor, this can be done by pressing ‘M’ or selecting the icon from the top tools bar. In the Editor, click the Standard button, the select Kuju Material. 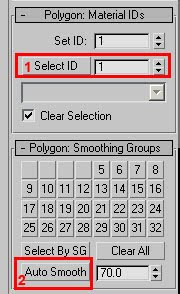 In Slot 1 click ‘None’ , then select bitmap at the top of the list in the new window, click ok and then find your texture in the explorer window, once selected the windows will be closed and you will be back in the material editor. 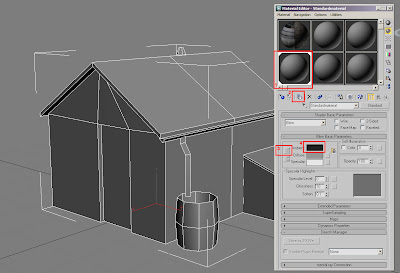 You have your model, material and texture, now you need to map the texture to the object. Select the polygon selection button in the modifier list, select all the polygons in your object then click the little black triangle next to the words Modifier list, this shows all the modifiers you can then apply to your object. Scroll down and select Unwrap UVW, then click 'edit' in this new panel. This brings up a new mapping window. It will be a mass of green and white lines depending on how you have modelled your object. But be cool, we will make order from this chaos. In the top tool bar in the mapping window click the ‘Mapping’ button then select the flatten mapping. Another smaller window opens up. Leave the Face angle threshold at 45, however change the spacing to 0.002. 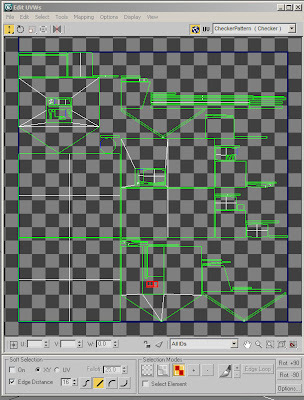 (this packs the coordinates closer together) Then click OK.
You now have all your polygons mapped out in a square. Close the mapping window and then right click on the Unwrap UVW (It should be highlighted in yellow) and select ‘collapse all’ You can leave the UVW in the stack if you wish but it serves no real purpose in this tutorial, remember to collapse the stack before export. OK, Diffuse side done now for the Light map. Once again select the polygon selection button in the modifier list, click the little black triangle next to the words Modifier list and scroll down to select Unwrap UVW. Change the map channel to 2. (1) then click Edit (2) This brings up a new mapping window as before. In the top tool bar in the mapping window click the ‘Mapping’ button then select the flatten mapping. Another smaller window opens up. Leave the Face angle threshold at 45, however change the spacing to 0.002. (This packs the coordinates closer together) Then click OK. You will now have all your faces tightly mapped into a square. You can fine tune these mapping coordinates if you wish but I seldom do, but I will if I do not feel I am getting the best out of my space. Before doing this I suggest lots of mapping practise. 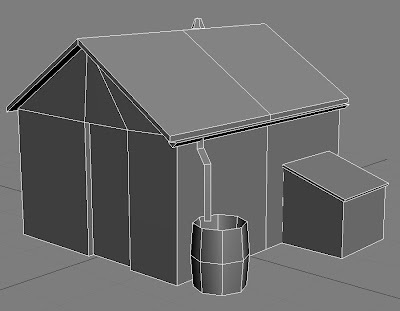 OK, we now have an object with 2 mapping channels awaiting the second texture. We now need a light map, this is how we make it. All other values leave alone. Press F10 to open up the Render Setup window. In the advanced Lighting set up select Light Tracer. These values can all be changed and experimented with. To begin with use the setting from the image below. At this point you can set up a camera and render as usual to have a peek at what the object looks like, if you are not happy with the results change the values in the Advanced set up. Select your object to render. Once happy, Press 0 (Zero) this will bring up the Render to texture window. It may take a little while depending on the number of polys in your object. Save this max file then reopen your original max file. 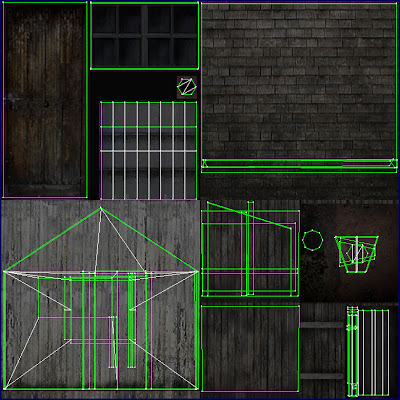 Open up the Material Editor and in the kuju material select slot 2, click ‘None’ , then select bitmap at the top of the list in the new window, click ok and then find your shadow map texture in the explorer window, once selected the windows will be closed and you will be back in the material editor. 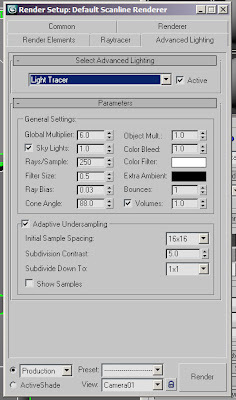 Close the Material Editor, make sure your object is named correctly and export as an IGS as usual. This is a fairly long tutorial and I may have missed a step or two, please leave comments or requests for me to change. With lighting part of the object will it respond to RW lighting, i.e. sun and sky? 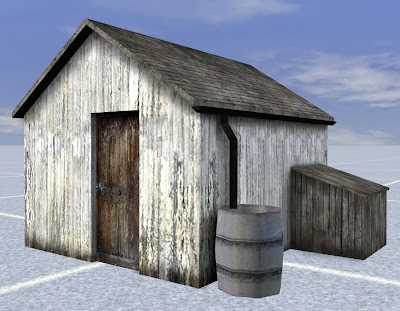 Yes, nearly all of the buildings in RWs has this material. Thanks for this mapping info. Thanks for this blog Derek, I´m learning a lot from it. Chers! Hey Adam. Great tutorials here. Do you think you could do one on stencil shadows sometime? Call me Adam again and I'll hunt you down. 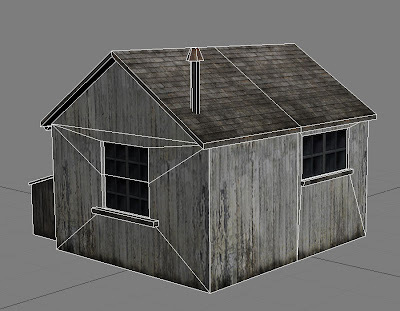 isn't this can be substituted with a texdiff with a texture that have baked ambient occlusion? 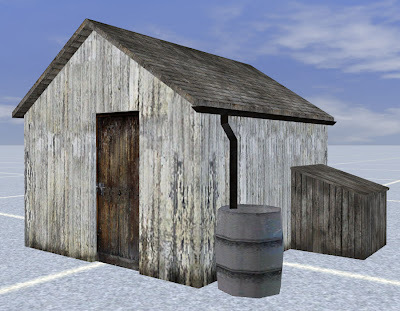 You can have a tex diff with the ambient occlusion baked in, but then you are restricted to your mapping resolution. This allows you to do more with less better.